Here is an interesting gadget from Sanwa, the Sanwa Throat Microphone, up until now the only people who have used this type of microphone are the army and police. 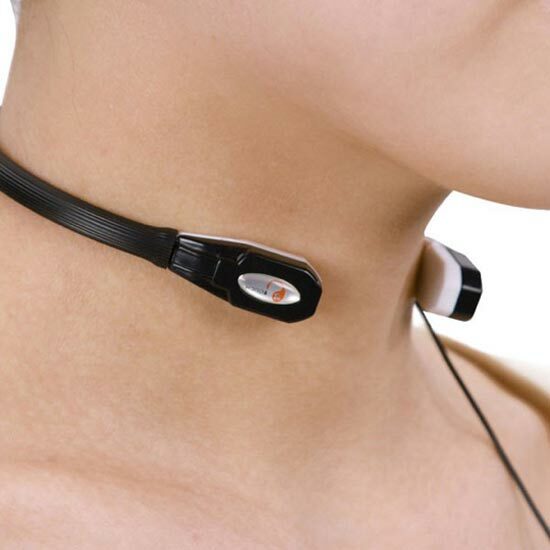 Throat microphones are used to eliminate background noise and it is placed directly on your throat, your voice is then transmitted through the microphones. Unfortunately there is no word on pricing or availability as yet, so it looks like you will just have to use a standard microphone with your mobile phone for now.